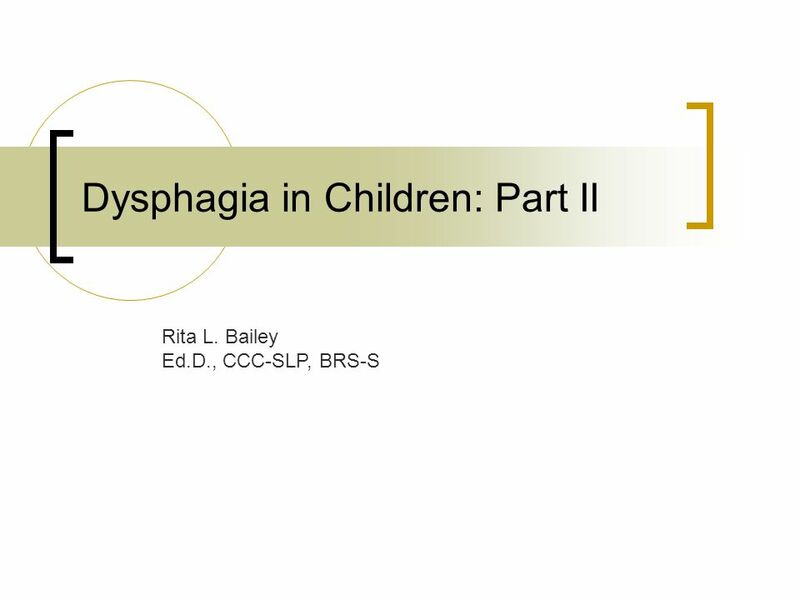 A common finding in children with dysphagia Why?? 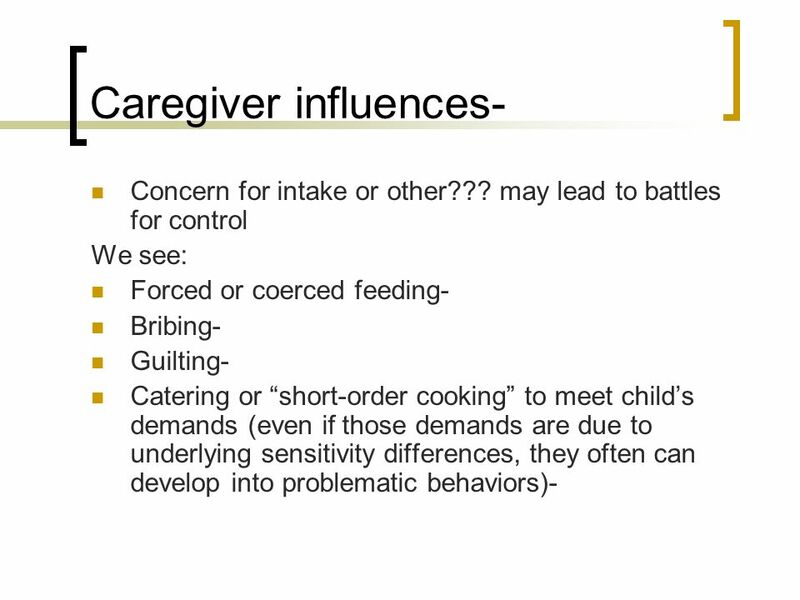 Due to a combination of the impact of caregiver influences, physical conditions, social, psychological factors, and the feeding environment on the development of feeding interaction patterns and behaviors. 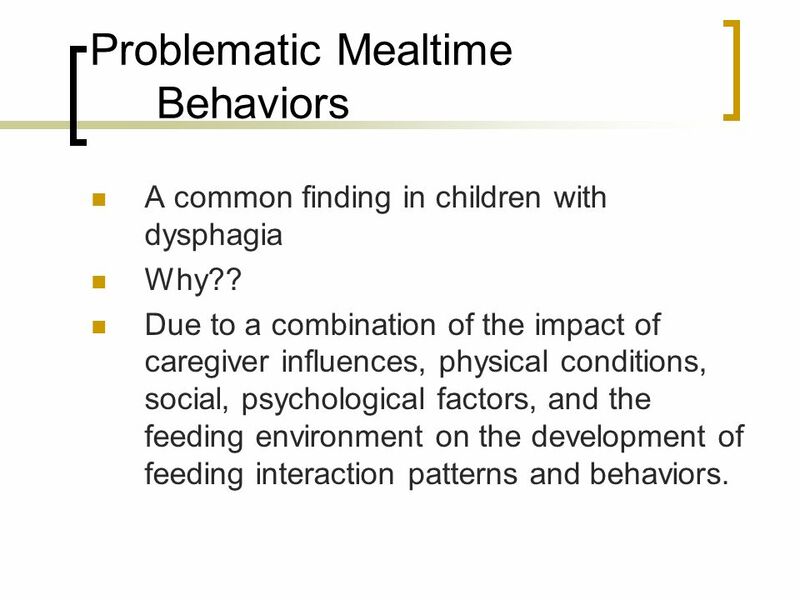 4 Physical Conditions Children with dysphagia may find mealtimes stressful and unpleasant. 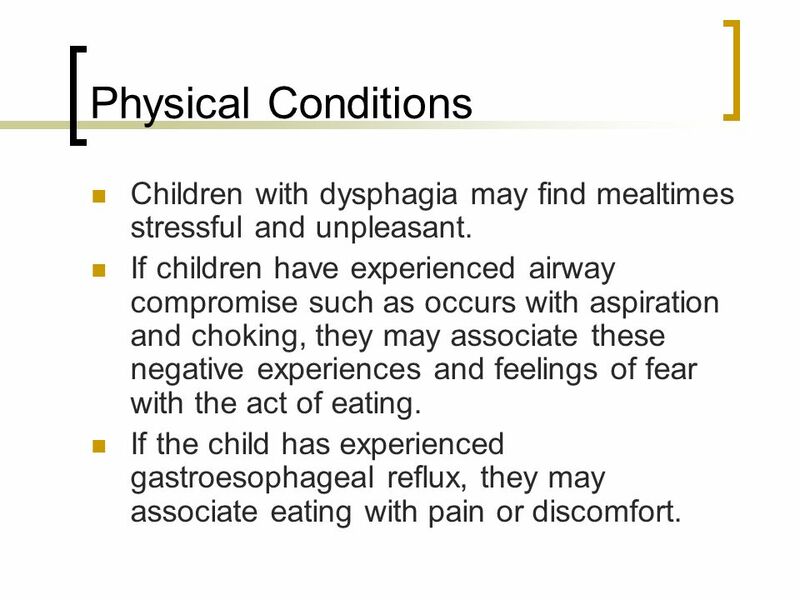 If children have experienced airway compromise such as occurs with aspiration and choking, they may associate these negative experiences and feelings of fear with the act of eating. If the child has experienced gastroesophageal reflux, they may associate eating with pain or discomfort. 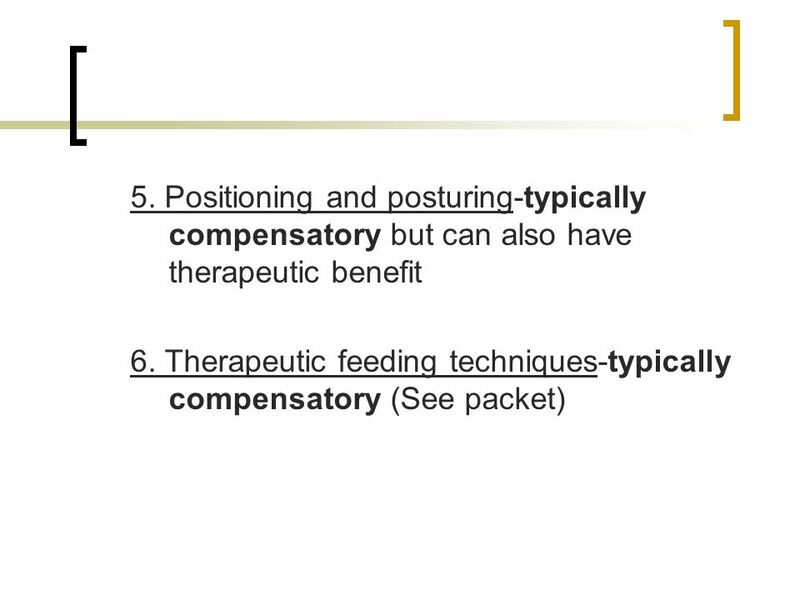 5 Physical Conditions Medically fragile children are often subjected to medically necessary but intrusive and aversive oral/facial sensory inputs. 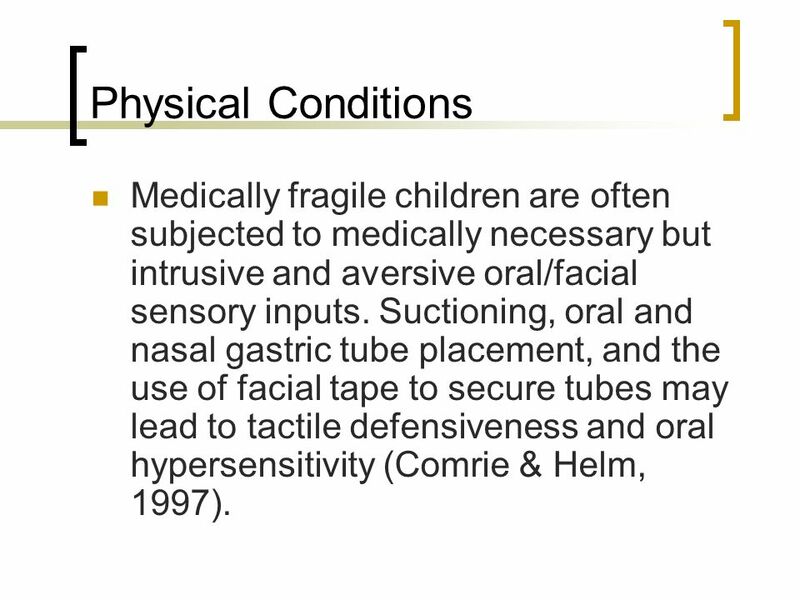 Suctioning, oral and nasal gastric tube placement, and the use of facial tape to secure tubes may lead to tactile defensiveness and oral hypersensitivity (Comrie & Helm, 1997). 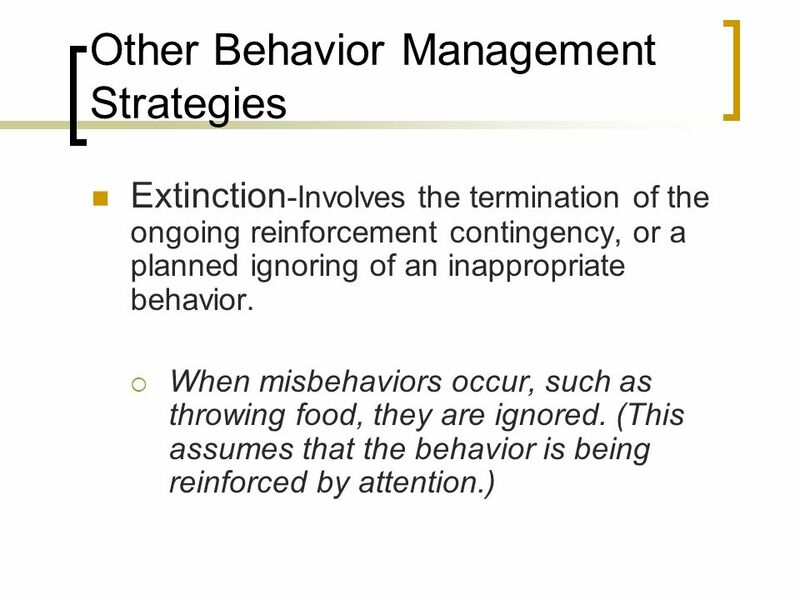 What is the consequence of the behavior? 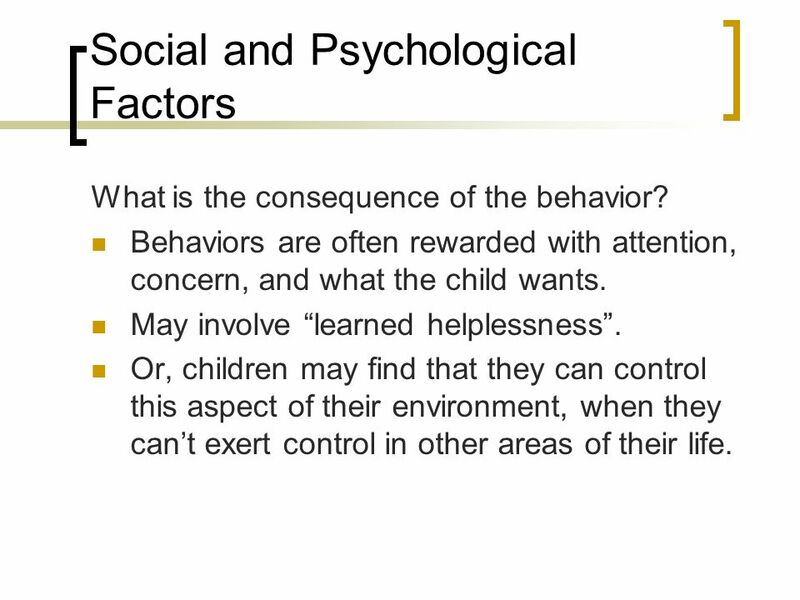 Behaviors are often rewarded with attention, concern, and what the child wants. May involve “learned helplessness”. Or, children may find that they can control this aspect of their environment, when they can’t exert control in other areas of their life. 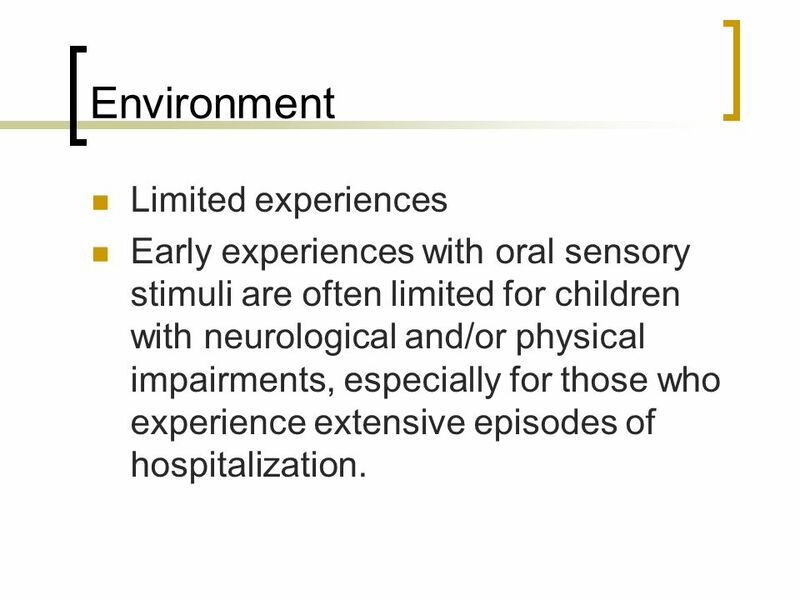 Early experiences with oral sensory stimuli are often limited for children with neurological and/or physical impairments, especially for those who experience extensive episodes of hospitalization. 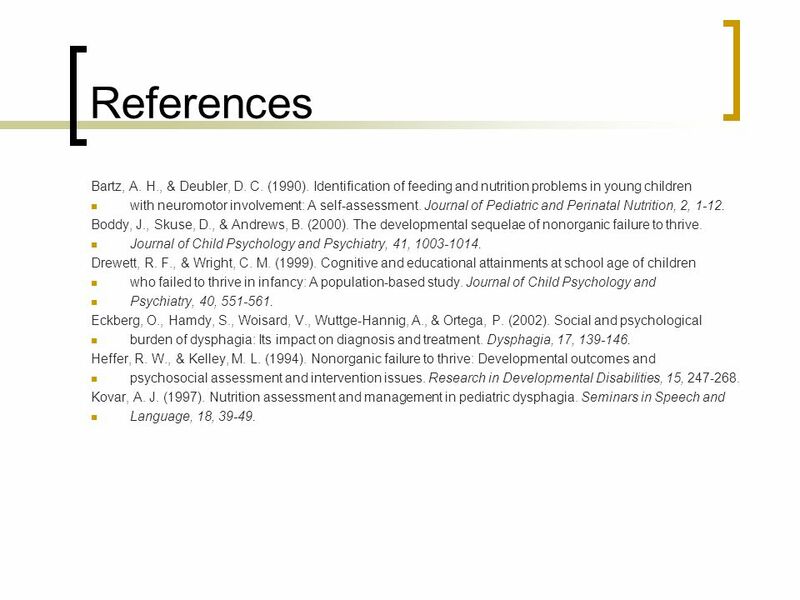 8 Environment Early experience and repeated exposure to new foods contributes to the development of food acceptance patterns and the control of food intake. 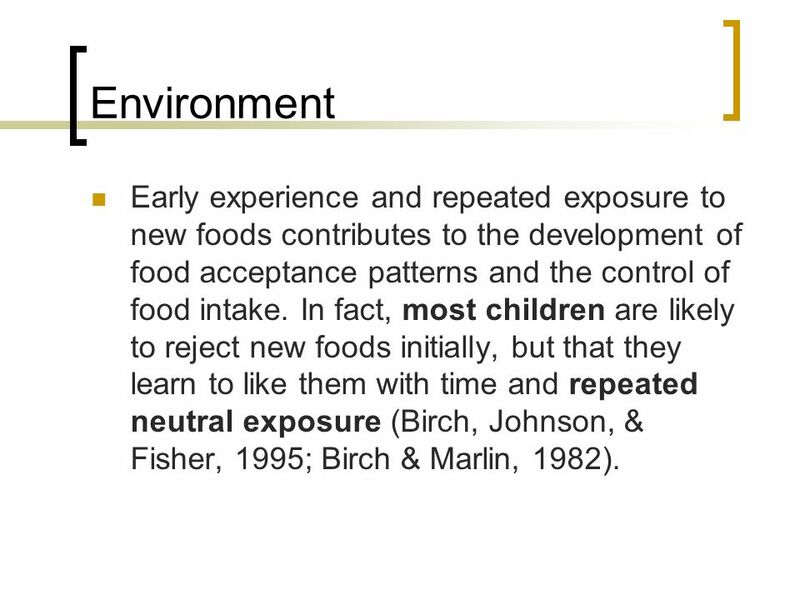 In fact, most children are likely to reject new foods initially, but that they learn to like them with time and repeated neutral exposure (Birch, Johnson, & Fisher, 1995; Birch & Marlin, 1982). 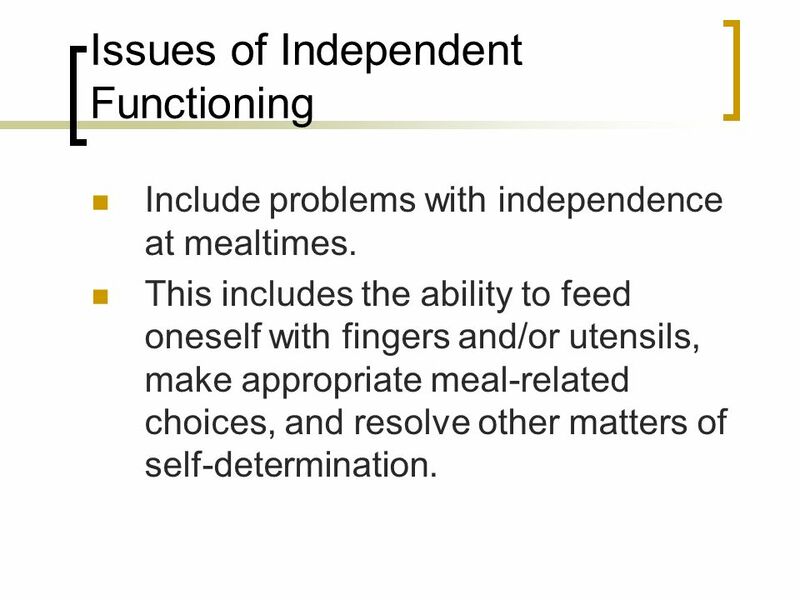 Include problems with independence at mealtimes. This includes the ability to feed oneself with fingers and/or utensils, make appropriate meal-related choices, and resolve other matters of self-determination. 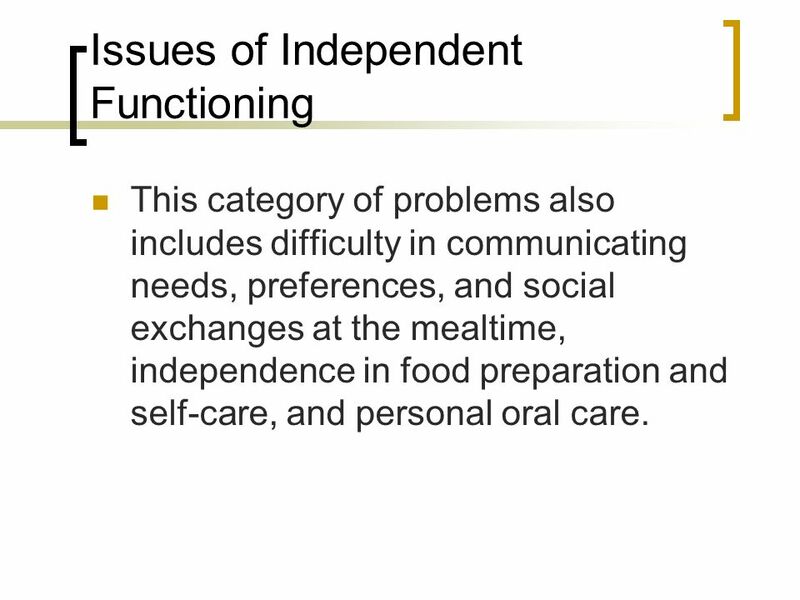 This category of problems also includes difficulty in communicating needs, preferences, and social exchanges at the mealtime, independence in food preparation and self-care, and personal oral care. 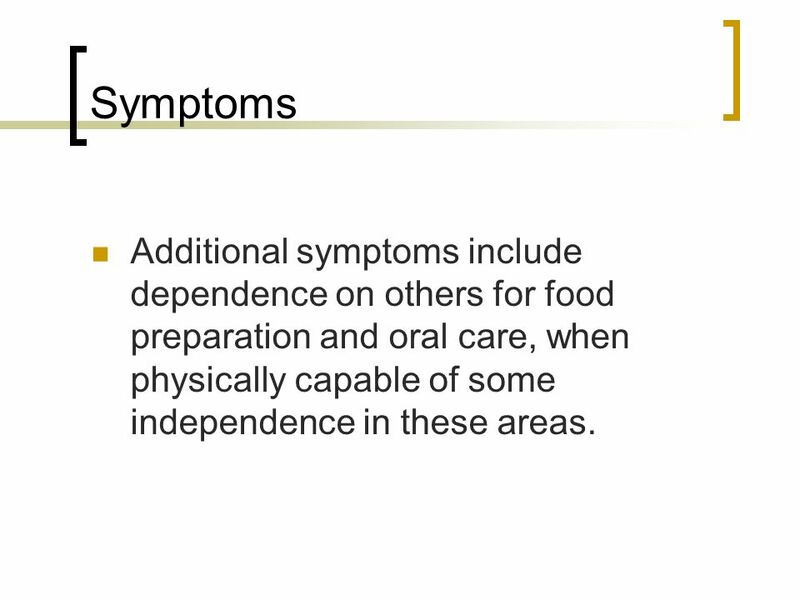 11 Symptoms Symptoms of difficulties in independent functioning include the ability to bring hands or objects to the mouth away from the mealtime, but dependence on others for feeding. 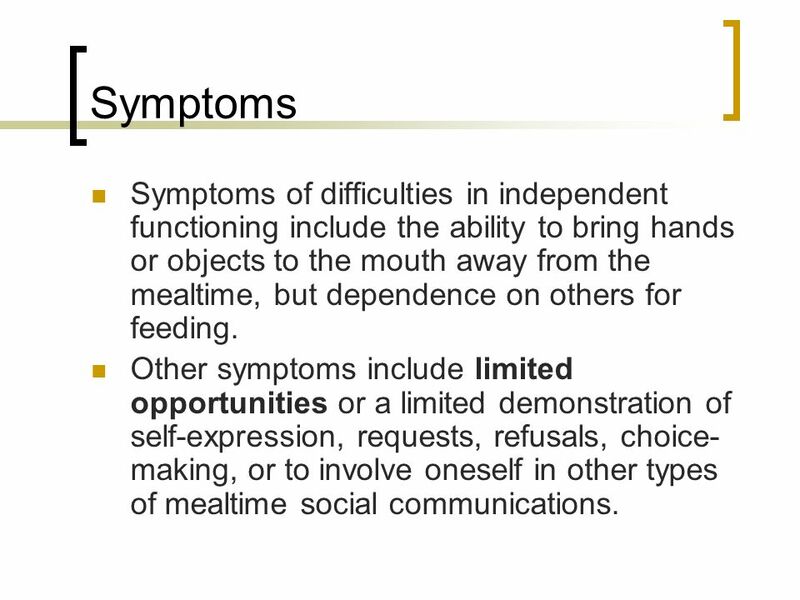 Other symptoms include limited opportunities or a limited demonstration of self-expression, requests, refusals, choice-making, or to involve oneself in other types of mealtime social communications. 12 Symptoms Additional symptoms include dependence on others for food preparation and oral care, when physically capable of some independence in these areas. 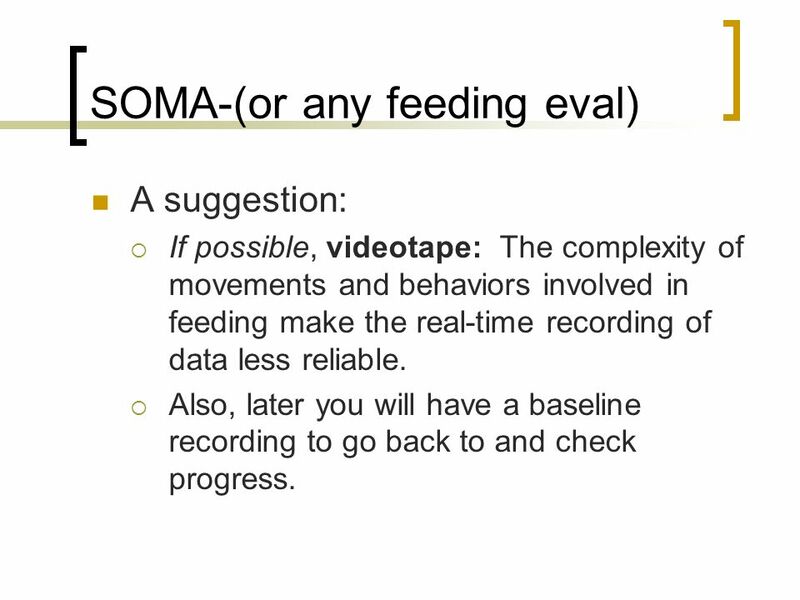 A suggestion: If possible, videotape: The complexity of movements and behaviors involved in feeding make the real-time recording of data less reliable. Also, later you will have a baseline recording to go back to and check progress. 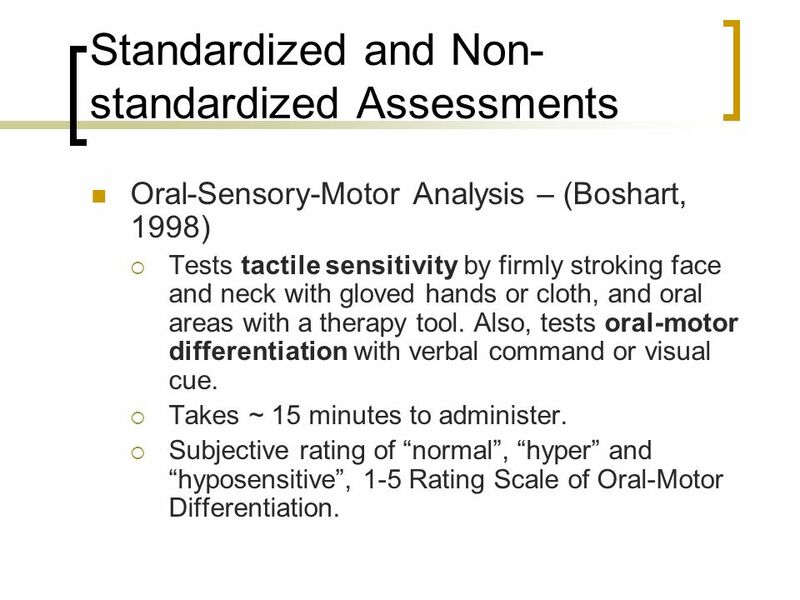 Oral-Sensory-Motor Analysis – (Boshart, 1998) Tests tactile sensitivity by firmly stroking face and neck with gloved hands or cloth, and oral areas with a therapy tool. 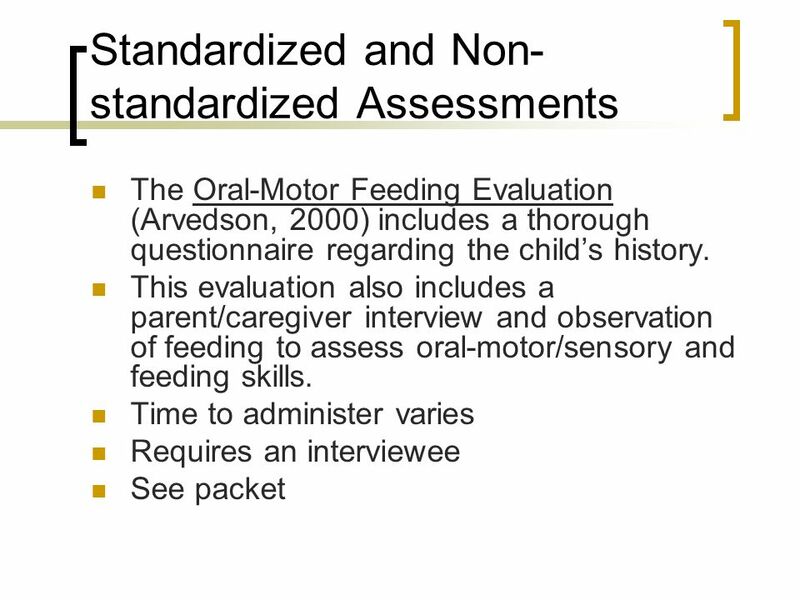 Also, tests oral-motor differentiation with verbal command or visual cue. Takes ~ 15 minutes to administer. 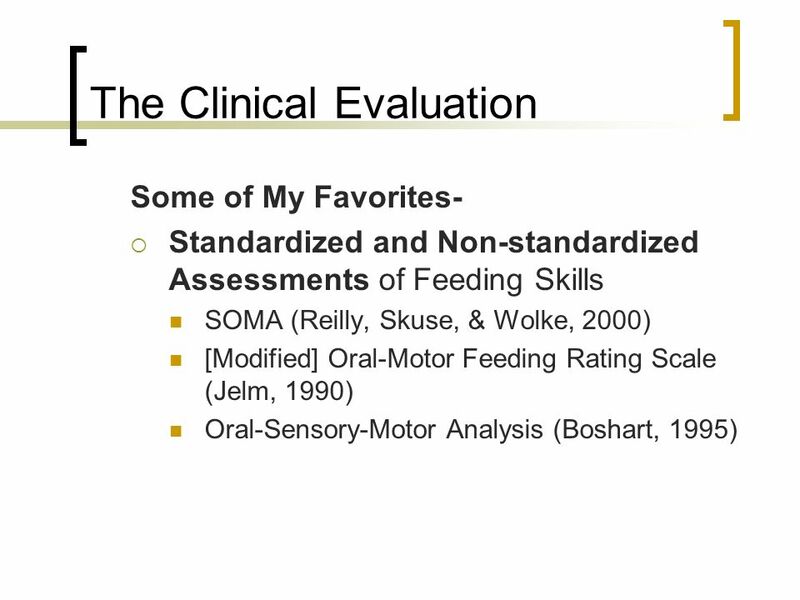 Subjective rating of “normal”, “hyper” and “hyposensitive”, 1-5 Rating Scale of Oral-Motor Differentiation. 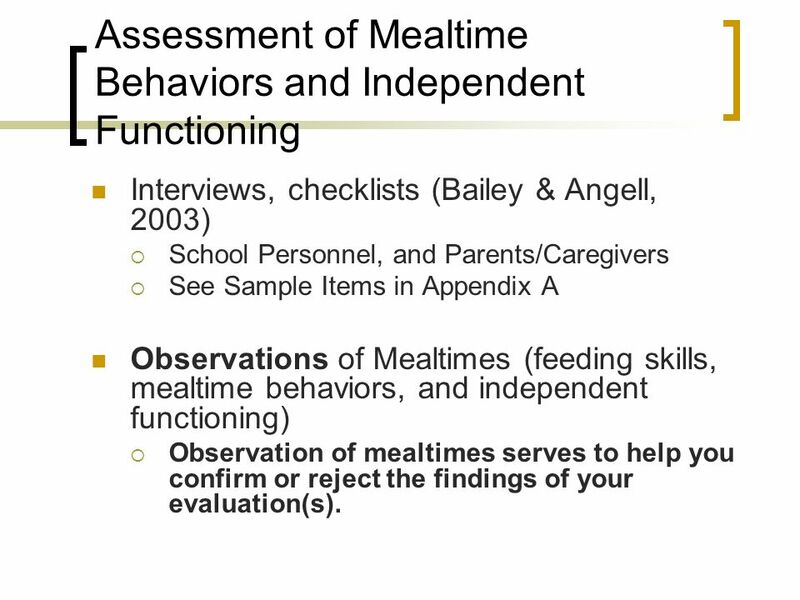 Interviews, checklists (Bailey & Angell, 2003) School Personnel, and Parents/Caregivers See Sample Items in Appendix A Observations of Mealtimes (feeding skills, mealtime behaviors, and independent functioning) Observation of mealtimes serves to help you confirm or reject the findings of your evaluation(s). 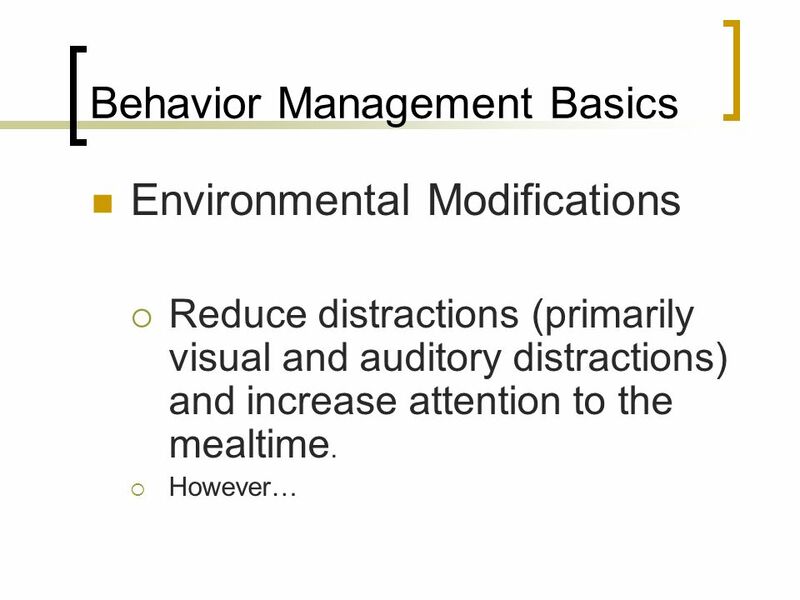 Functional Behavior Analysis Antecedent-Behavior-Consequence *Must be completed in a structured and organized way to be accurate. 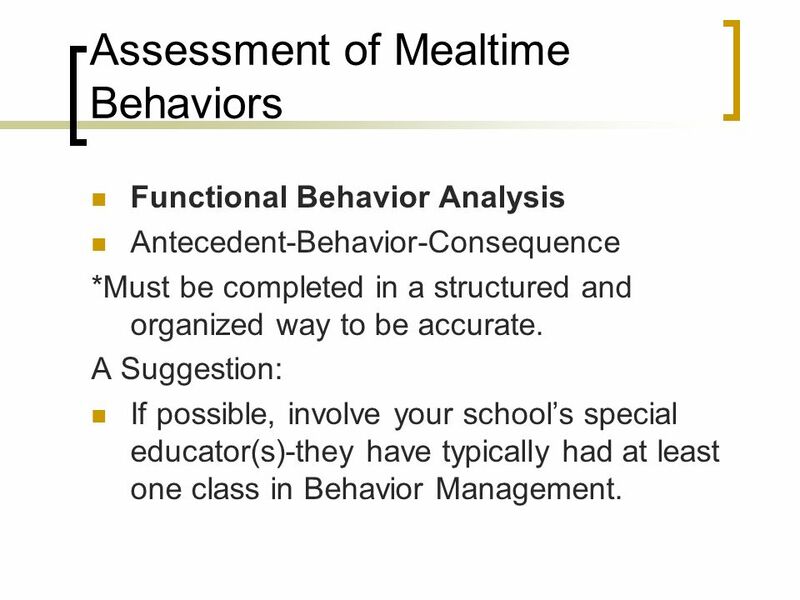 A Suggestion: If possible, involve your school’s special educator(s)-they have typically had at least one class in Behavior Management. 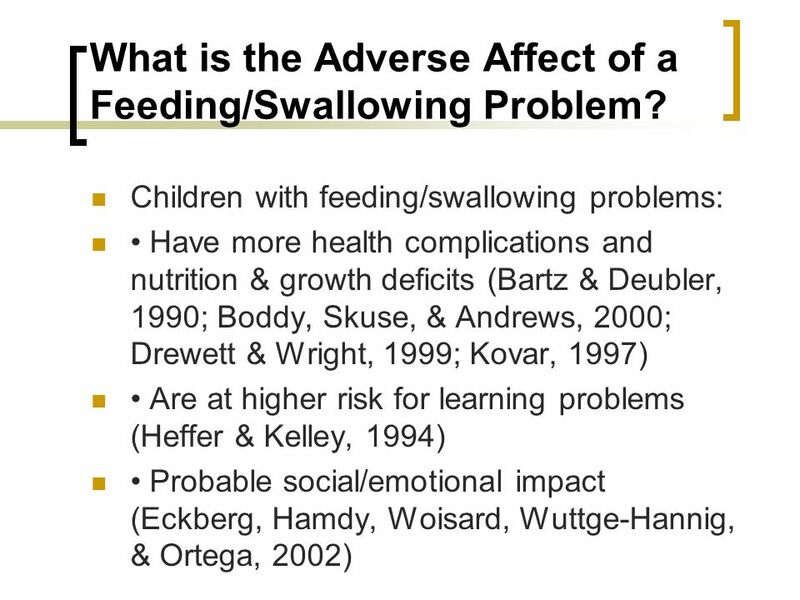 24 What is the Adverse Affect of a Feeding/Swallowing Problem? What does the research say? 1. 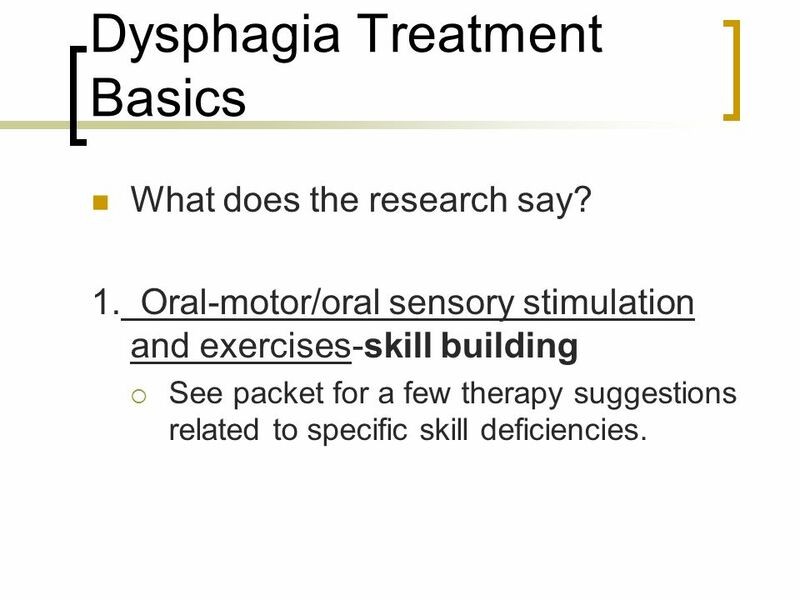 Oral-motor/oral sensory stimulation and exercises-skill building See packet for a few therapy suggestions related to specific skill deficiencies. 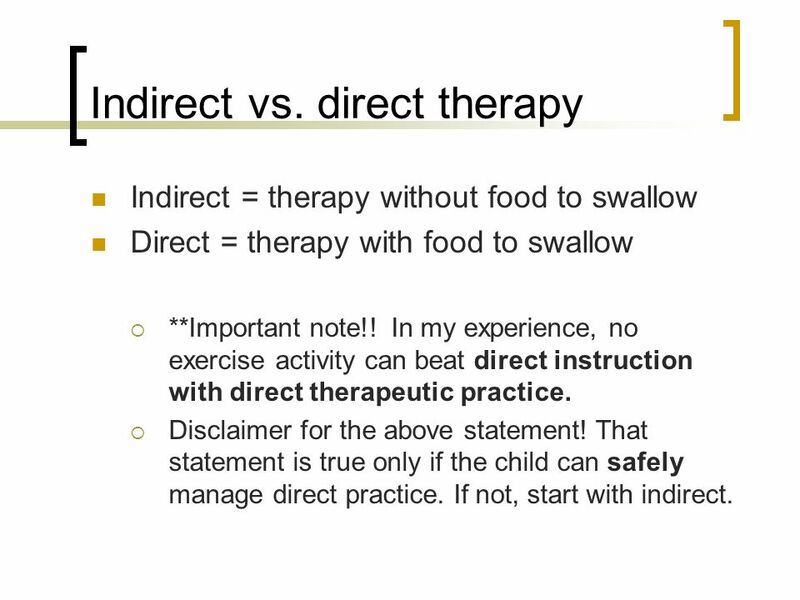 Indirect = therapy without food to swallow Direct = therapy with food to swallow **Important note!! In my experience, no exercise activity can beat direct instruction with direct therapeutic practice. Disclaimer for the above statement! 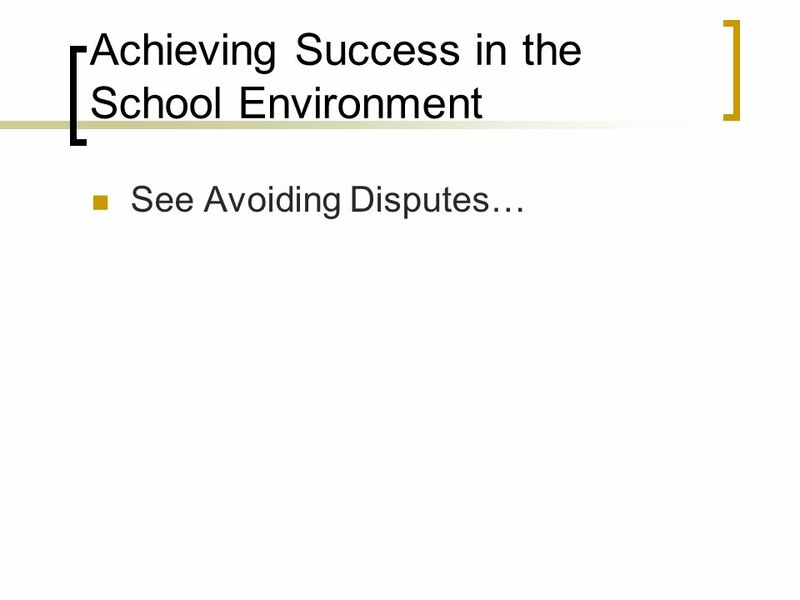 That statement is true only if the child can safely manage direct practice. If not, start with indirect. 2. 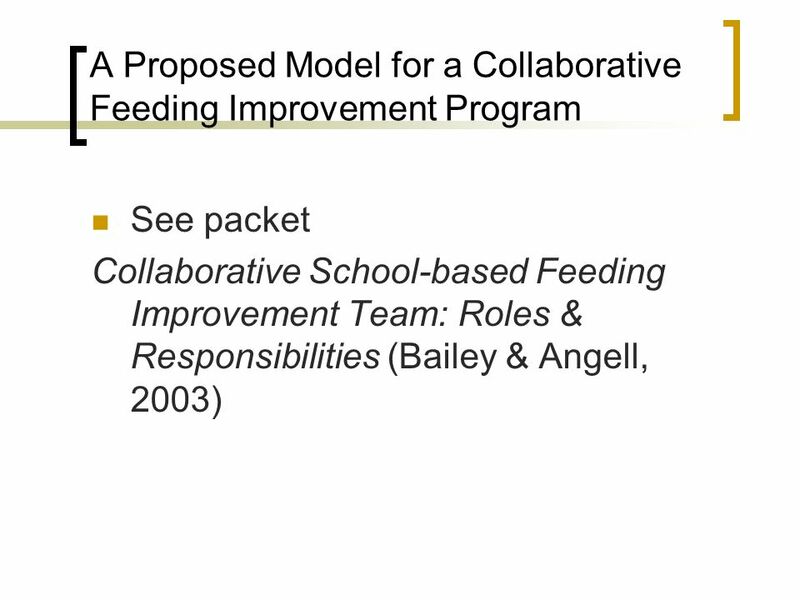 Direct instruction and modeling (teaching skills!) 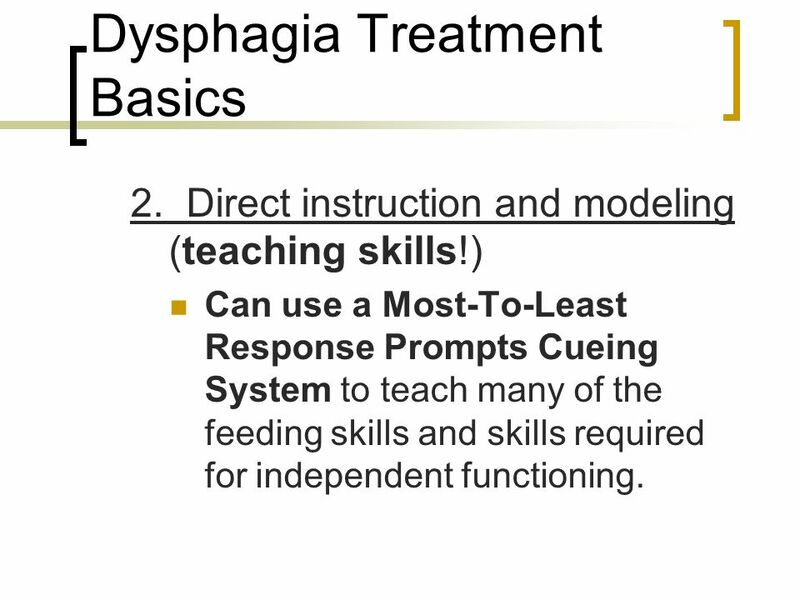 Can use a Most-To-Least Response Prompts Cueing System to teach many of the feeding skills and skills required for independent functioning. 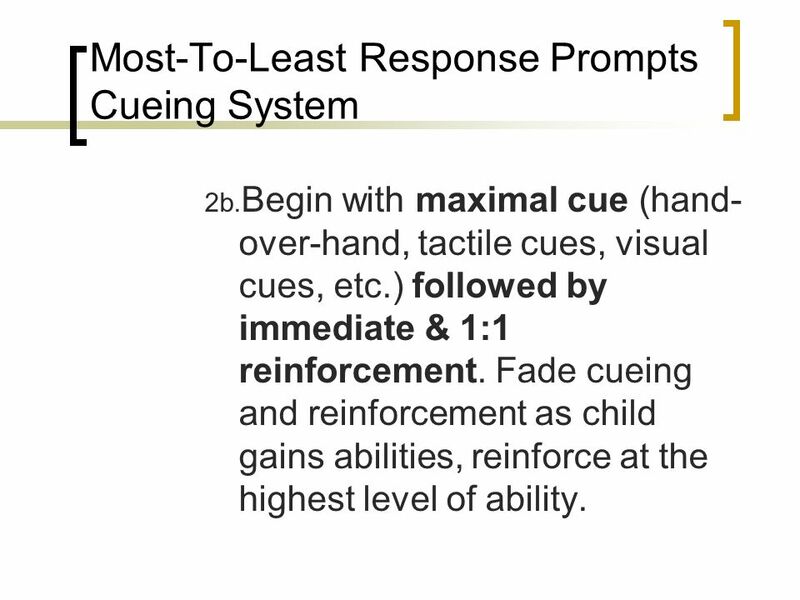 2b.Begin with maximal cue (hand-over-hand, tactile cues, visual cues, etc.) 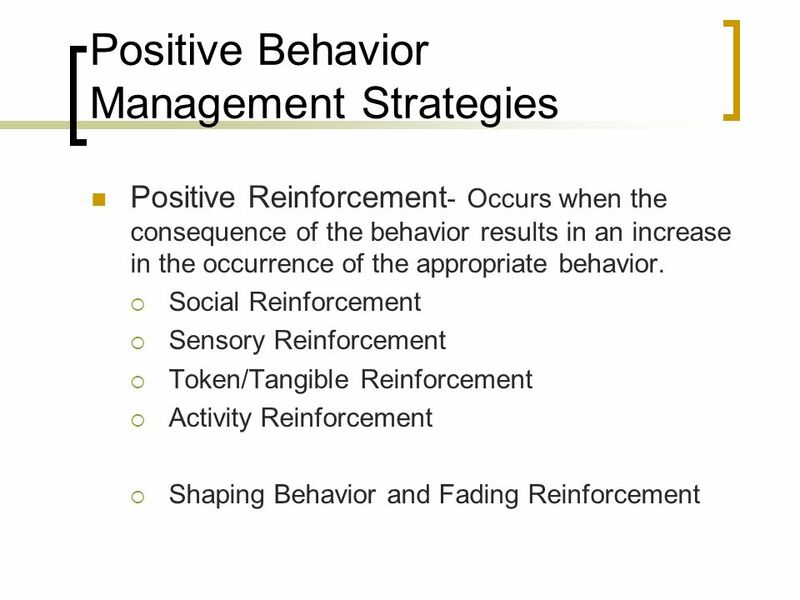 followed by immediate & 1:1 reinforcement. Fade cueing and reinforcement as child gains abilities, reinforce at the highest level of ability. 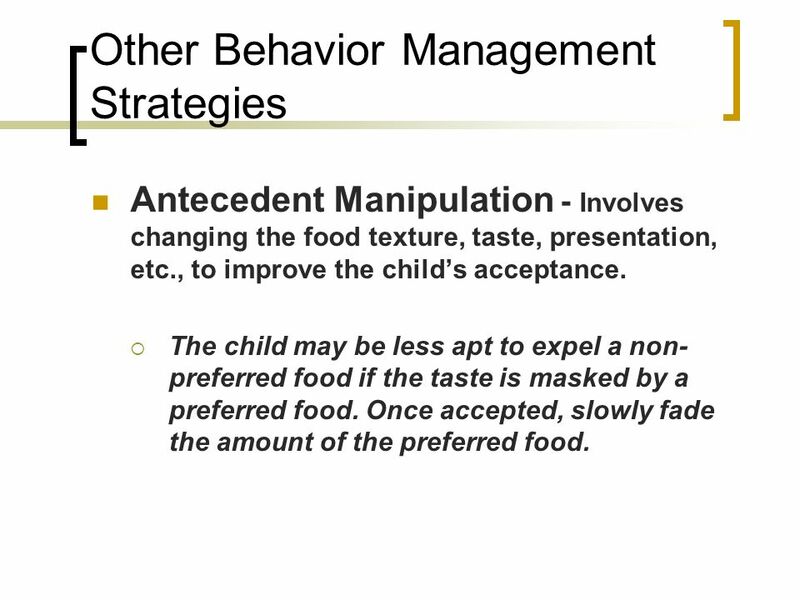 Antecedent Manipulation - Involves changing the food texture, taste, presentation, etc., to improve the child’s acceptance. The child may be less apt to expel a non-preferred food if the taste is masked by a preferred food. Once accepted, slowly fade the amount of the preferred food. 39 Recommended! 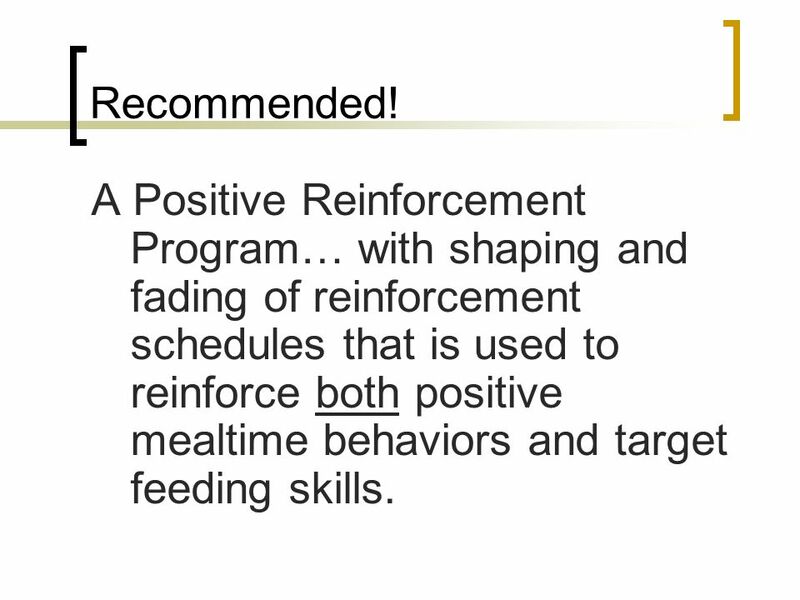 A Positive Reinforcement Program… with shaping and fading of reinforcement schedules that is used to reinforce both positive mealtime behaviors and target feeding skills. 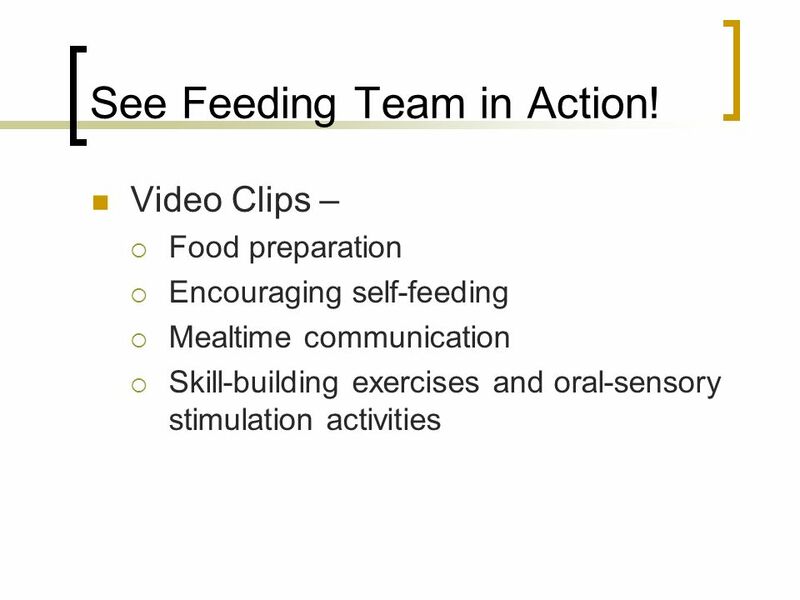 40 See Feeding Team in Action! 41 For More Information… Questions or Comments? 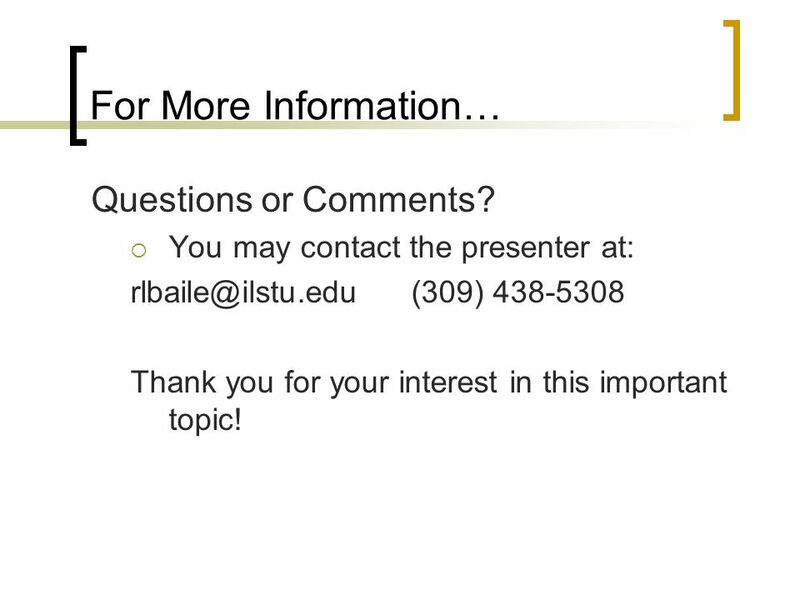 You may contact the presenter at: (309) Thank you for your interest in this important topic! 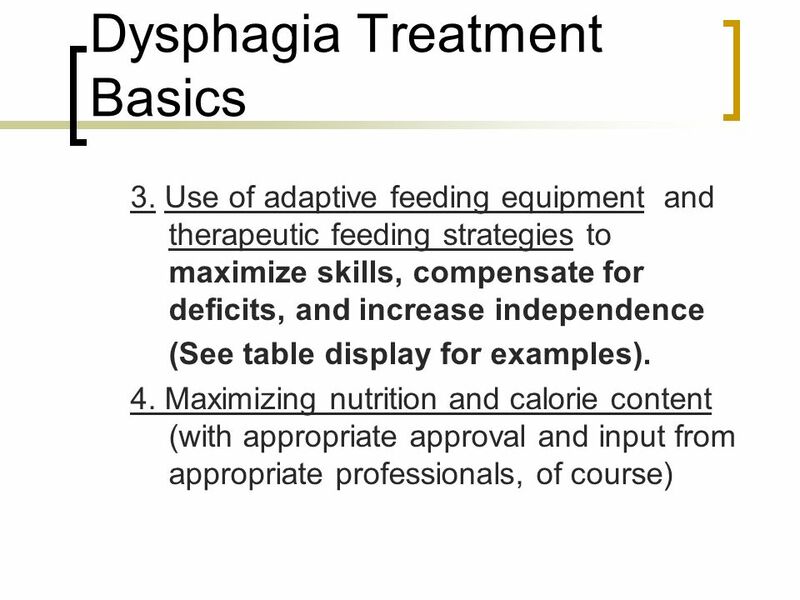 Download ppt "Dysphagia in Children: Part II"
Special Education as an Alternative to Academic Failure. 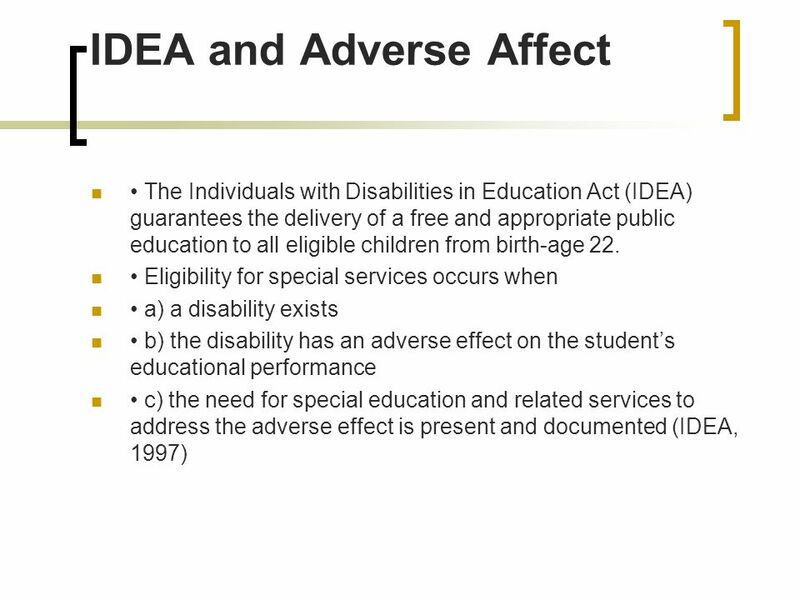 Standards-based Individualized Education Program (IEP) Module Five: Identifying Special Education and Related Services Standards-based IEP State-Directed. 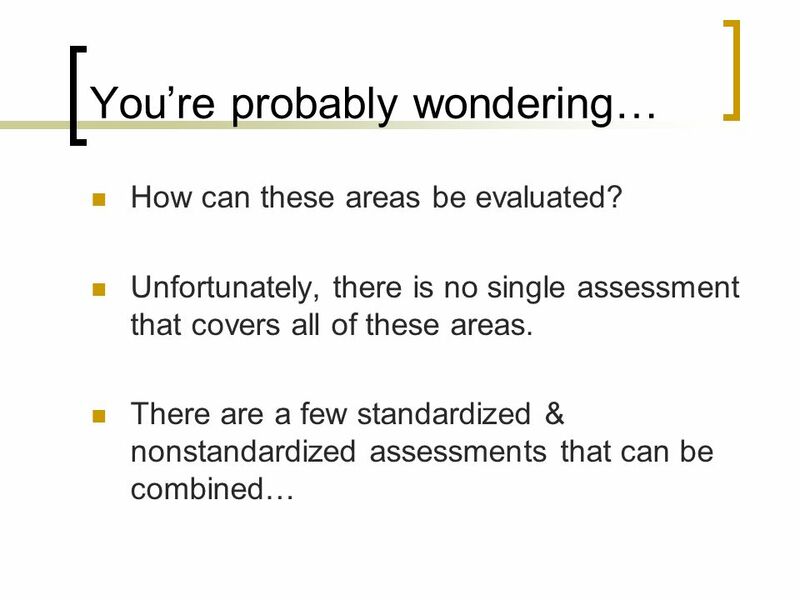 Functional Behavior Assessment 2011 SEL Academy Professional Development. Psychosocial and Physical Aspect of the Care of the Child in Critical Care. 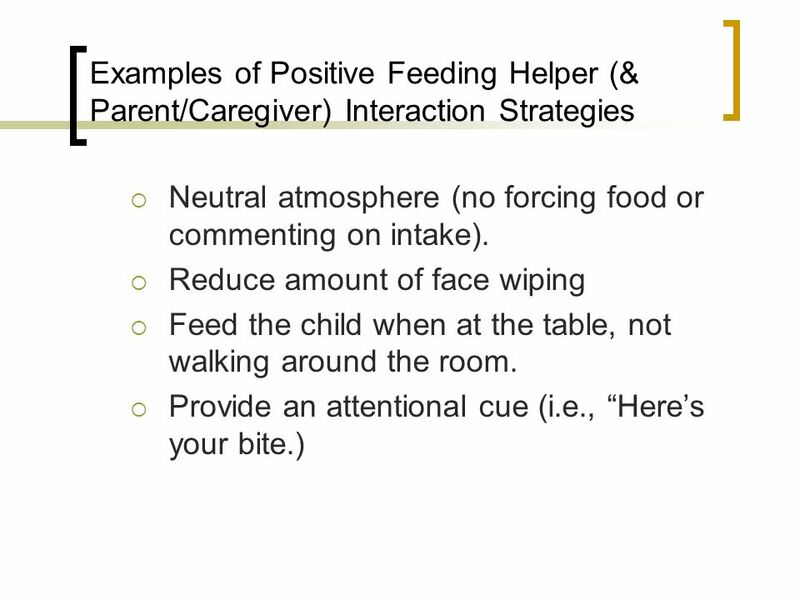 Nurturing Young Children: The Importance of Family Style Meal Service Sharen Crockett, MS, CFCS Dr. Beth Wilson, CFCS, CFLE. 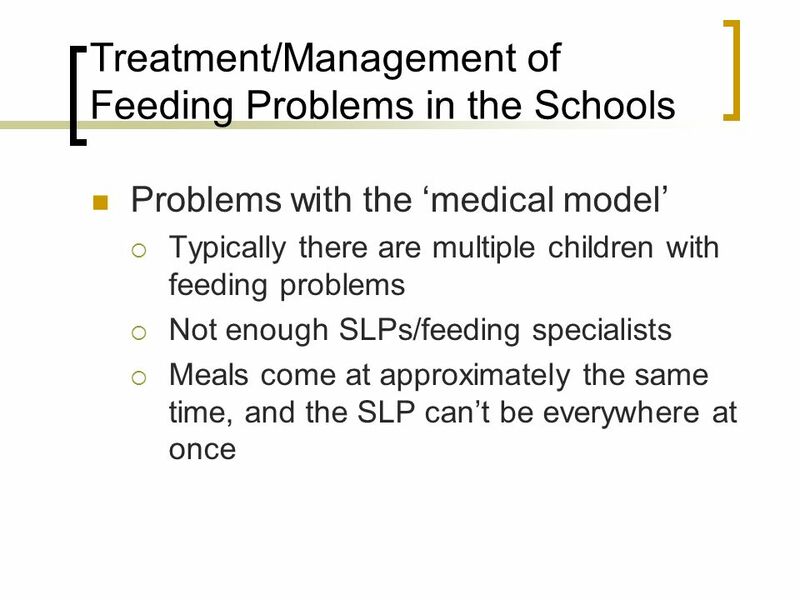 1 Identification and Treatment of Childhood Stuttering J. Scott Yaruss, Ph.D., CCC-SLP Stuttering Center of Western Pennsylvania University of Pittsburgh. 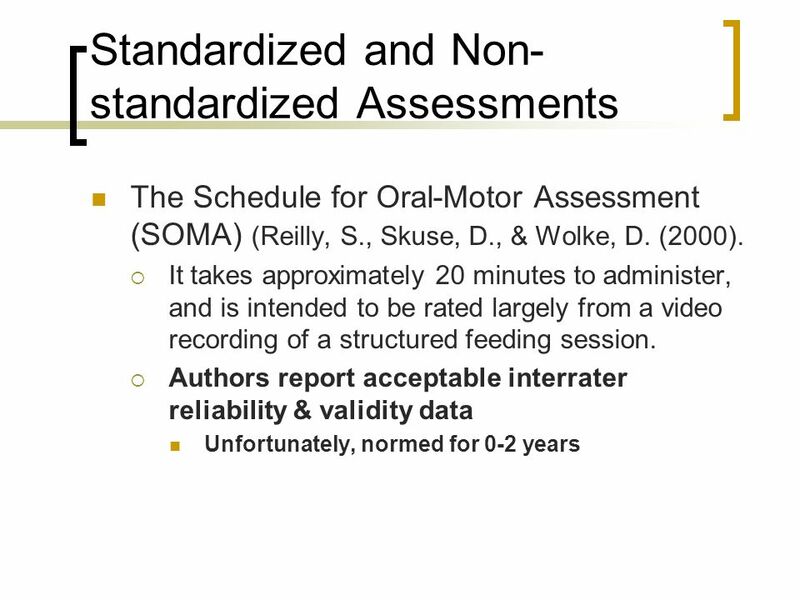 ASC 823J: Medical Aspects of Speech Language Pathology Medicare, Medicaid Guidelines. 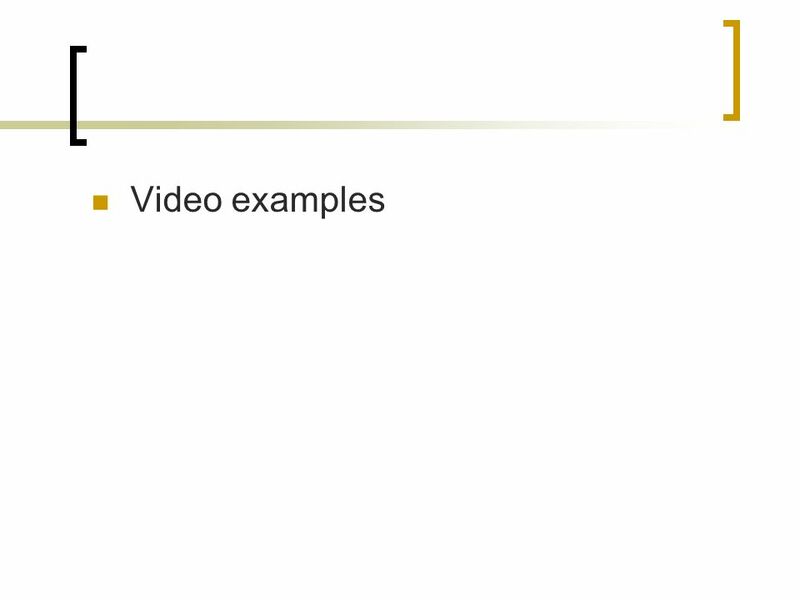 Copyright Ernsperger Reactive Programs Module Fourteen.